Author’s Note: This article is about why it’s important to have consistent, enhanced and optimized business information online and how to distribute it as broadly and efficiently as possible. Contact us if you’d like more information about how we can help. Everyone has heard of Google. It’s the heart of the internet and where the majority of internet searches happen on a daily basis. For many of us, it’s how we get things done. It’s how we find what we need to know, what we need to buy, where we need to go in our community. So what’s the first step that a local business should take when the want to be found locally? Well, the first step is getting listed on Google, but then what? 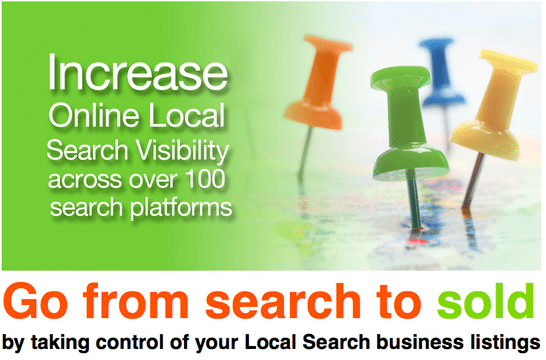 How and where do we find local business information online? 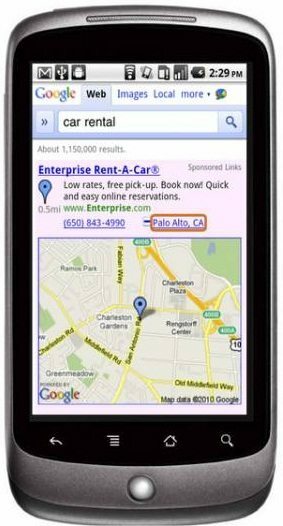 Within Google results and around the internet there are many more websites, directories, portals, niche services, apps and services that provide us with information — especially when it relates to local searches for products and services online. 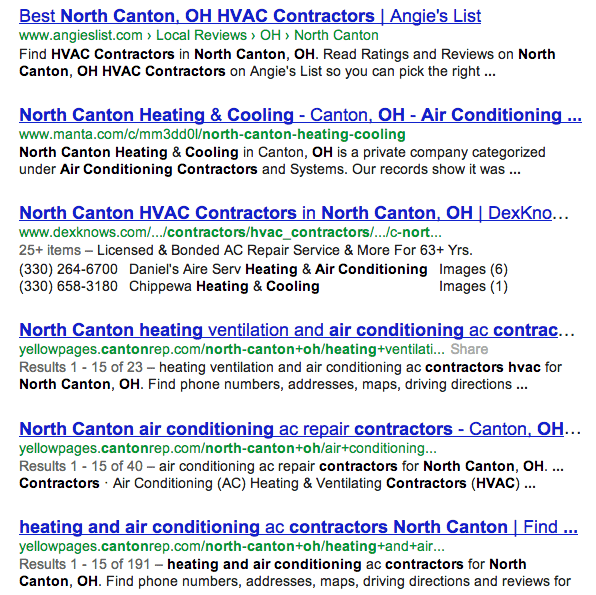 There are millions of local searches a day — and many of those start with Google — but they end with results that are found within a secondary website or service. At the top level we have directory sites like YellowPages.com, Superpages.com, Citysearch, Yelp.com, DexKnows, MerchantCircle, Manta.com and others. These sites might not be your starting point, but they can be your destination. On a mobile device they might actually be your starting point if you’re using apps from YP.com or Yelp. There are hundreds of sites like this that have millions of visitors a day and you need to be there if you’re a local business that’s looking to be found online. What you can see here is that the results are powered by secondary websites and directories, not individual business website listings. 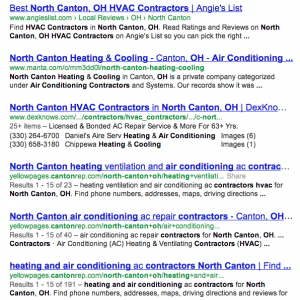 In this case, the one local business at the top of the results might claim the prize but there’s a good chance that people will continue to shop and research their options using one or more of the secondary results. Here’s another reason why you need to distribute your business data. Have you ever entered a business name or specific address into your GPS device or a mobile app and received the dreaded “No Results Found” message? How about a general search in a region for a service like “Restaurant” or “Pharmacy” and you received limited results? The reason that information is limited or unavailable is because these services only have the data that’s available to them. Business data is not universally shared and distributed and it’s highly unlikely that a business would go directly to the GPS company or the App developer and submit their information. 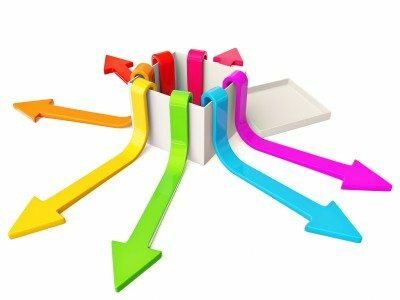 So if there are hundreds of top-tier websites and potentially thousands of portals, directories and apps that consumers use to find local business information, where do all these services get the detailed business information that powers their offerings? To expect small businesses to tackle the job of manually submitting to all these sites is not realistic. The answer is that these services buy the data from top tier data distributors or they partner with a secondary website provider. To give you a specific example, the new Apple Maps on the iPhone is currently powered by several secondary providers (Yelp and Neustar). If one of these providers doesn’t have a business in their database, that business won’t be listed on Apple Maps and therefore nonexistent to iPhone users. The same thing applies for directory sites like YellowPages.com and many others. Businesses can pay to be on these sites, but to provide a quality directory they also populate their site with additional information from data providers. So how do you get listed on all these secondary websites and services without making a full time job out of it? The answer is knowing where the data originates. In the U.S. there are 3 major data distributors that supply about 95% of all websites and services with business information. (Acxiom, Infogroup and Neustar) Making sure that your business information is listed within these top tier databases is the key to successfully distributing your business everywhere that matters. The cost is based on each business location listing. If you have multiple locations, the cost will go up. It can be time consuming to compile all the necessary information, approve your account and actually get it submitted if you’re never done it before. Knowing how to properly optimize your listing is key. 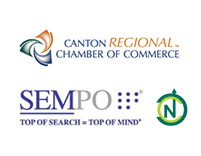 We’re a certified partner with several data distributors. In a nutshell, we can submit your information cheaper than if you went direct! If you have multiple locations we offer volume discounts. Again, not the case if you went direct and did it yourself. We handle everything for you. We know what information needs to be collected, how to optimize it and we simply take care of it so you can focus on your business. Ready to get started? Feel free to contact us anytime for a free quote and grow your visibility and reach online. Business data distribution is the first step to successfully getting your business to show where local people are searching online.